A correctly designed conservatory will give you additional living space and add value to your property. Newlite provides exactly the right tips and advice to help you design your new conservatory. Newlite provides only the very best in glass, roofs, windows makeand doors all vital components of any conservatory. All are designed to complement your conservatory perfectly. Newlmakesyour whole conservatory purchase as simple as possible as we offer a One Stop Shop service. Available with a number of equal or unequal facets. 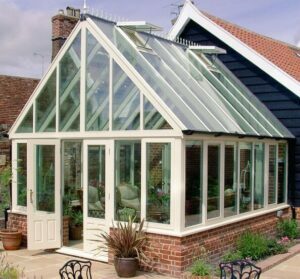 The style of a Victorian conservatory would compliment any home. Traditionally a square conservatory with a pitched roof, they come with a number of options including: – box gutters meaning they can be installed pretty much anywhere. Commonly known as a gable fronted conservatory, they are known to create a feeling of space and light with a traditional feel. T and P Shape Conservatories. Newlite’s T-shape conservatory is a very versatile style, allowing you to create two distinct living spaces within the one room. 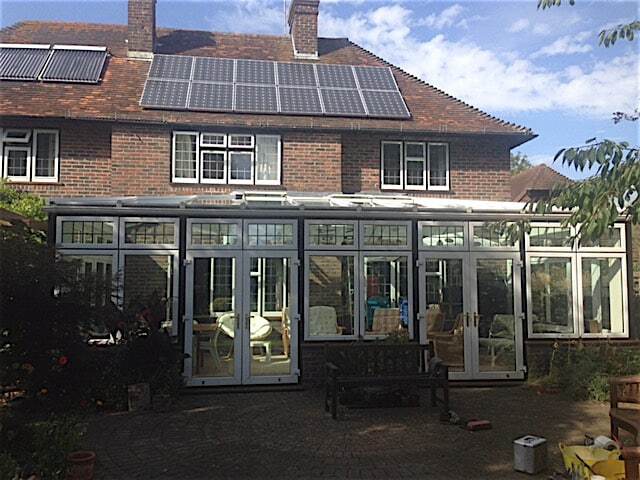 As the T-shaped conservatory is a relatively large design it is better suited to larger properties. Available in a range of pitched roofs from 2.5 degrees to 40 degrees. The most cost effective option with the maximum amount of space produced. If required we can craft your conservatory to a bespoke design and to meet your requirements and the style of your home. Discover our unique aluminium conservatories benefitting from slim lines, superior strength and with total flexibility in their design. Find out more about our superior PVCu conservatories that are competitively priced with no compromise on quality or design. The latest trend in modern living, look how an Ultraframe Livin’Room can create you the ultimate extension. The traditional conservatory comprises dwarf walls and a large expanse of glass. All our bespoke conservatories are suitable for any type of home. Newlite offer a complete range of windows and doors for any Kent and East sussex home. Newlite also specialises in all aspects of the construction of conservatories from start to finish. So whether you need help with the design and planning, base work, electrical considerations, plumbing or heating, we can help.